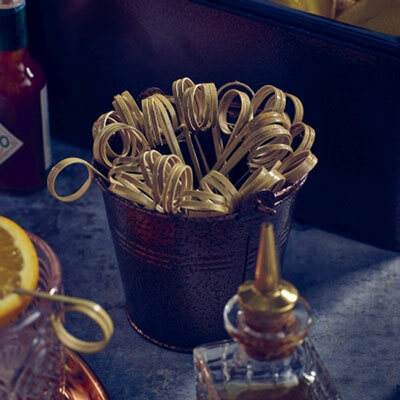 These bamboo ring skewers are incredibly versatile and can be used to serve food such as burgers as well as identify food at buffets and place settings. Their looped design allows for a place card to be inserted into the loop enabling easy and fuss free place and food labeling. Made from bamboo they are compostable, biodegradable and recyclable, perfect for use in commercial settings looking to reduce their carbon footprint.